Gurugram (Haryana) [India], Mar 23 (ANI): The members of a family were thrashed with sticks and swords by goons after being threatened not to play cricket on the occasion of Holi in Bhondsi area. A video of the incident, which is now viral on social media, purportedly shows a group of men attacking the family’s male members with sticks, even as women plead for them to stop. “A case has been registered at Bhondsi police station stating that when children of a local were playing cricket, a few men came there, threatened them not to play cricket there and attacked them with sticks and swords,” said Shamsher Singh, SP Crime. New Delhi [India], Apr 22 (ANI): The Bharatiya Janata Party (BJP) on Monday announced that cricketer-turned-politician Gautam Gambhir would contest the ongoing polls from East Delhi Lok Sabha seat while sitting MP Meenakshi Lekhi will contest the election from New Delhi seat. New Delhi [India], Apr 22 (ANI): The chief of an interstate narcotic drug cartel, who was carrying a reward of Rs 1 lakh, was arrested on Sunday, the Delhi Police confirmed. New Delhi [India], Apr 22 (ANI): India is studying the implications arising out of the United States' decision to not grant any additional sanction waivers for Iranian oil imports, government sources said. Krishnanagar (West Bengal) [India], Apr 22 (ANI): BJP president Amit Shah on Monday said Prime Minister Narendra Modi "sent his Air Force" to destroy terror camps in Pakistan after the deadly Pulwama attack in February this year. 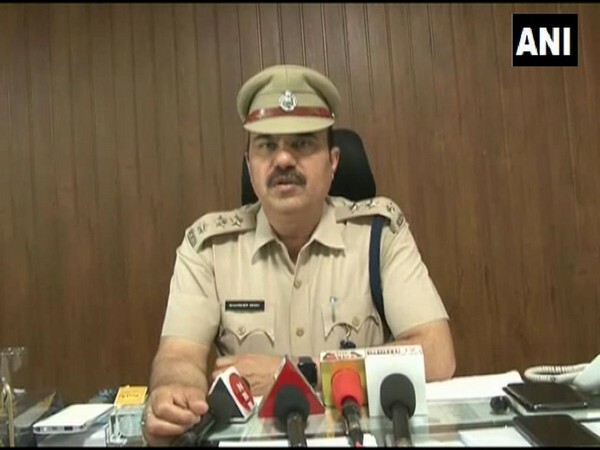 Hyderabad (Telangana) [India], Apr 22 (ANI): The Central Bureau of Investigation (CBI) has arrested an official of the National Highway Authority of India (NHAI), his relative and an assistant manager of a city-based private firm and his employee in an alleged bribery case of Rs 27 lakh.